Now I’m going to be completely honest up until we had Ava I wasn’t the biggest red meat-eater. I would more than happily eat beige dinners every night and not really care about if my body was getting any essential nutrients from it. 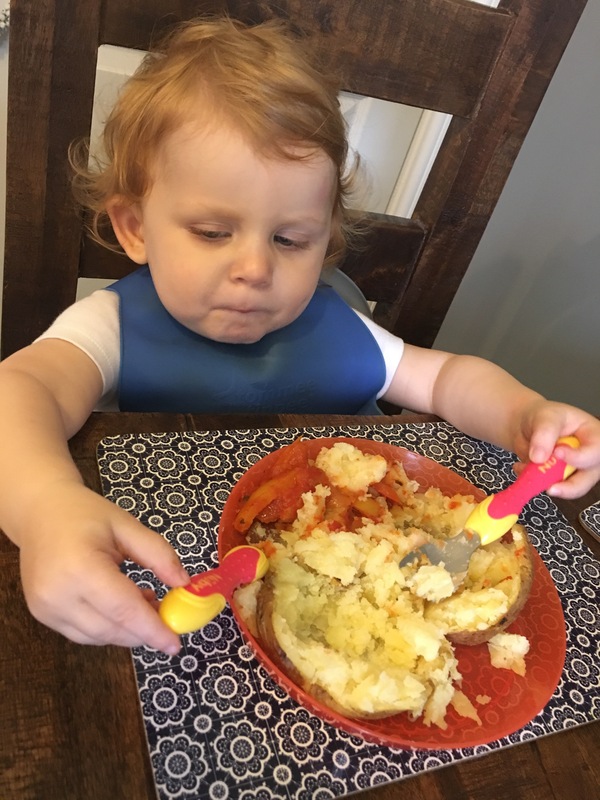 I then fell pregnant with Ava and started to look at what I ate more as through pregnancy you need to make sure your eating as healthy as possible . Then we started baby led weaning so Ava was eating what we ate . If I’m honest this was probably the kick up the bum I needed . As I didn’t want Ava to be the picky non adventurous eater that I am . I made a promise to myself that I was going to change. When I say a change I don’t mean I have started to eat ultra health and have cut chocolate out. Because come on what parent could do that . I mean I have added more and more red meat along with fruit and vegetables to my diet. The red meat especially contains essential nutrients that both me and Ava really need. Being totally honest . It’s a good freezer food to have, the meal choices are endless with mince. 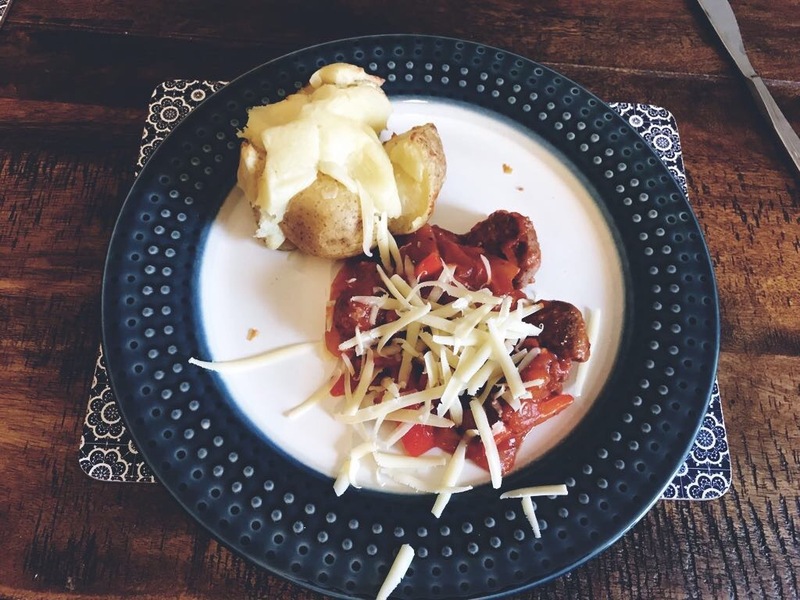 One of my favourite meals to have using mince is meatballs and jacket potato. We do something also have it with pasta it just depends how hungry I am. 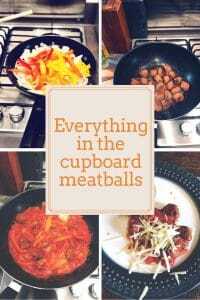 How to make everything in the cupboard meatballs. When I call it everything in the cupboard meatballs. I mean it’s one of those meals that changes each time we have it. 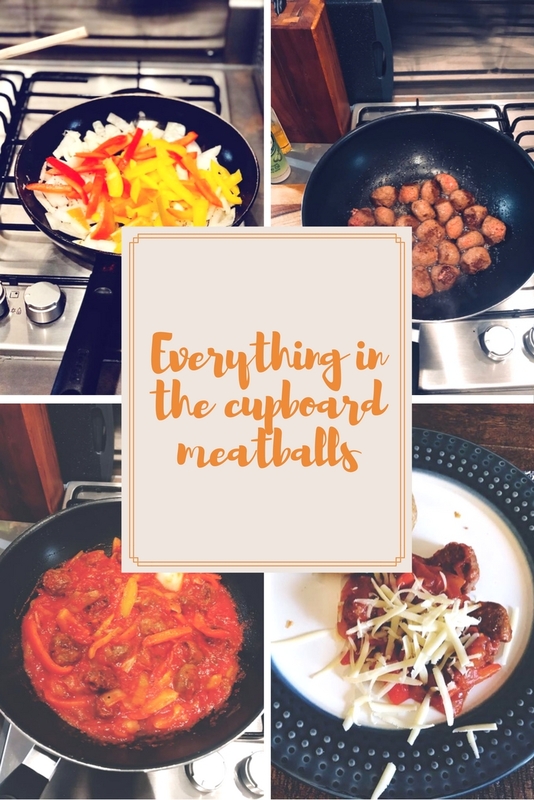 It’s so versatile one time it can be creamy tomato meatballs and the next tomato and herb meatballs it just all depends on what I have in . 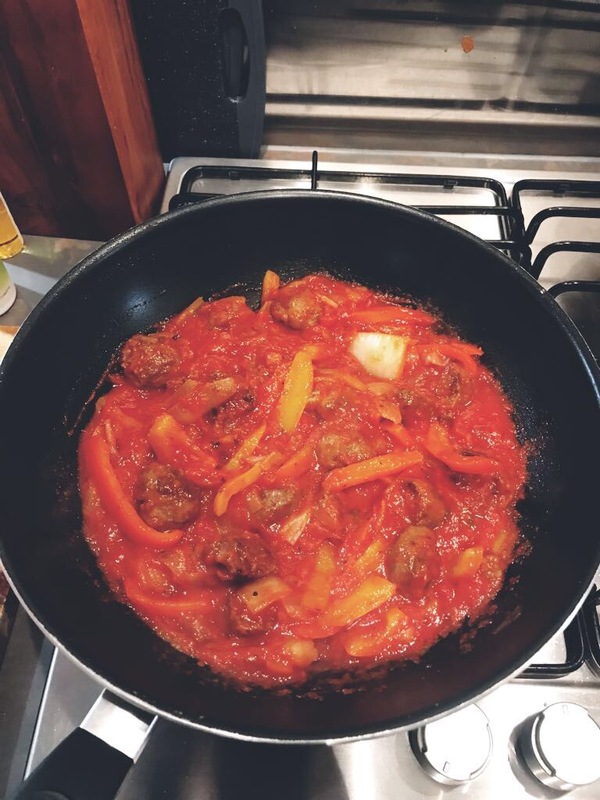 We started by cooking the meatballs until brown then added in the sauce, peppers and onions. 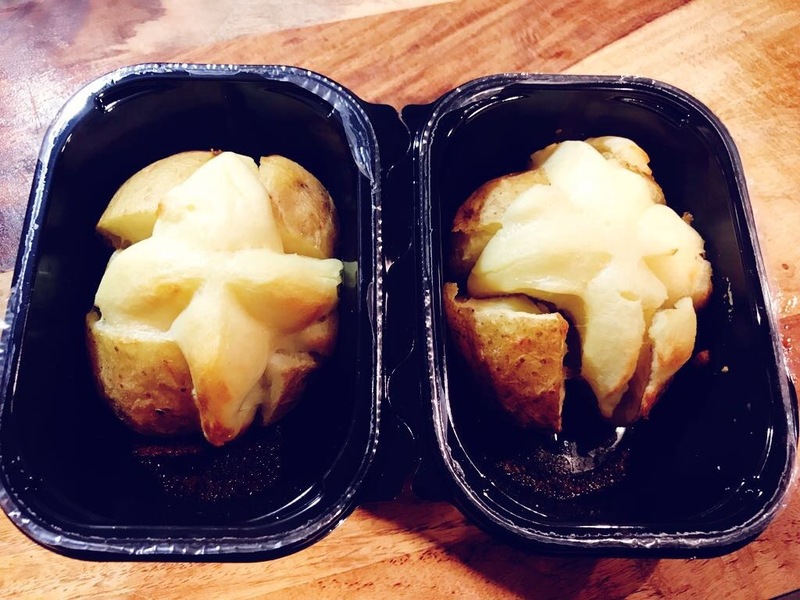 Whilst all this was cooking we placed the Jacket potatoes first of all in the microwave for 5-10 mins to cook through . Then put them in the oven just to crisp up. That is literally it plate it up and enjoy . A quick meal that the whole family can enjoy ! With a prep time of around 5-10 mins and a cooking time of 15-25 minutes dependant upon the size of the meatballs. As with most meals that has some sauce to it Ava doesn’t realised the veg I may be hiding in it . So it’s a great meal also to get her to eat things I know she will normally turn her nose up at. What’s your favourite meal to cook for your family ? Being overdue is horrid , why do they say pregnancy is 40 weeks long !